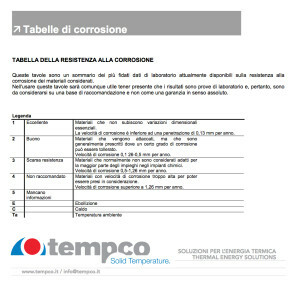 Choosing the right metals in engineering and construction of industrial machinery and equipments, is essential a proper evaluation of corrosion resistance of materials in contact with different fluids. 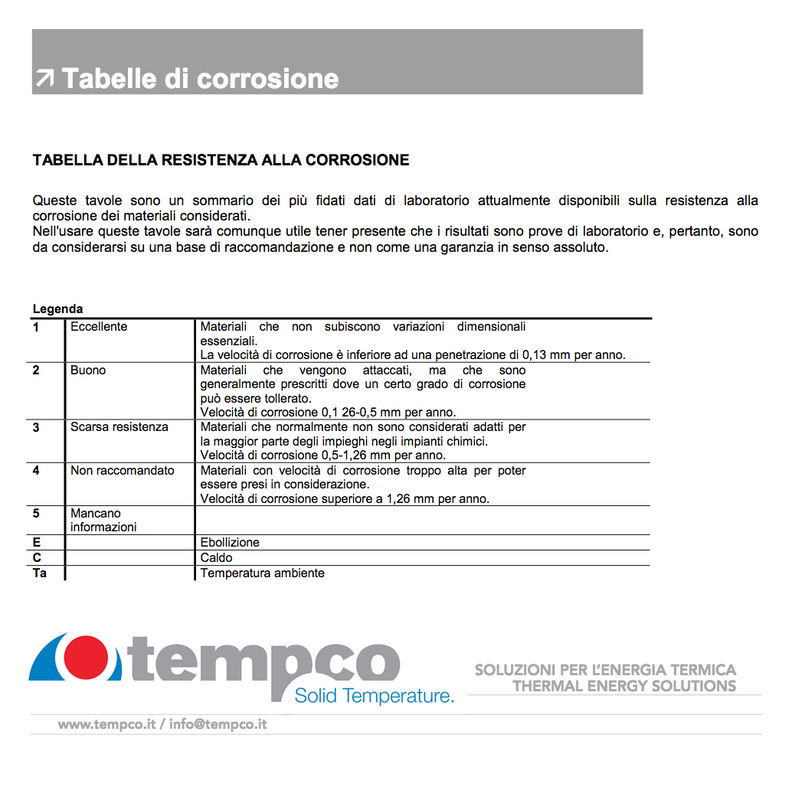 Here below is a corrosion resistance table based on results of general corrosion laboratory tests, involving materials and fluids to understand damages occurring due to unsuitable material selection in thermal machines, employed in thermal energy management and process industry, such as heat exchangers and thermoregulating units, as well as in general engineering equipments working with fluids, in sectors such as food and beverage, chemical, power generation and oil & gas facilities. Different metals are here evaluated, such as Stainless steels, bronze and cast iron, for a wide range of elements, fluids and aggressive or potentially corrosive substances. More datasheet and download data supporting installation and maintenance operations are available in the Resources section of our Tempco website.